Katherine is a traditional illustrator from Somerset. 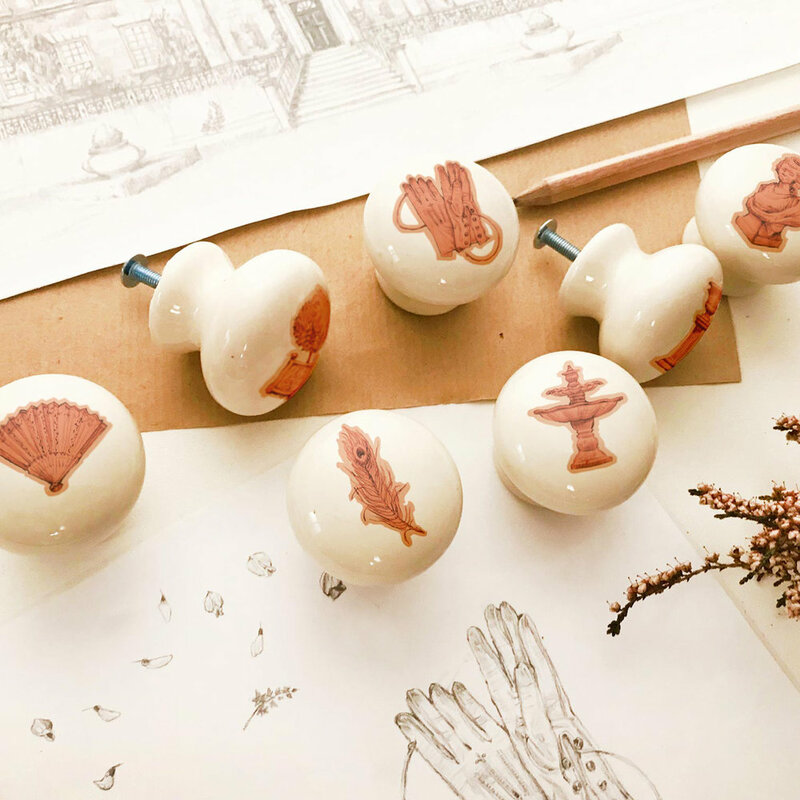 She transforms her pencil artwork into illustrated lampshades from her home studio in Wells. She also makes handmade notebooks, each of which are sewn with a book-binding stitch, as well as ceramic doorknobs, one-off pieces and private commissions of all shapes and sizes.